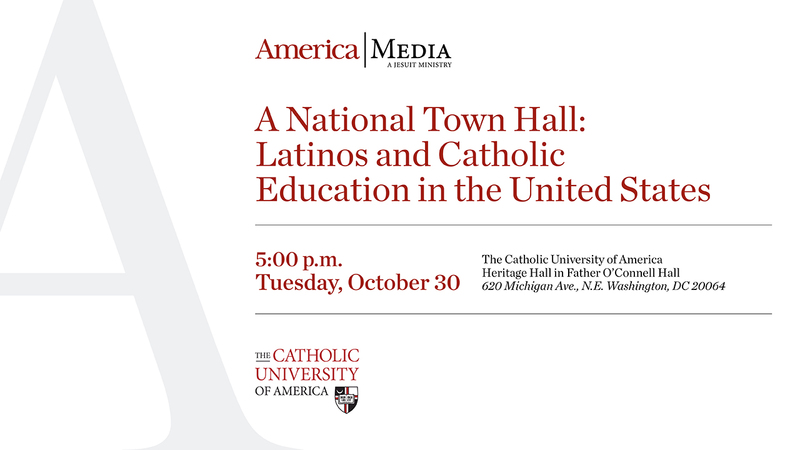 Tuesday, October 30, 2018 | 5 p.m.
Join America Media & The Catholic University of America as we host a national town hall on the future of Latinos and Catholic Education in the United States. Speakers include Bishop Oscar Cantu, Coadjutor Bishop of San Jose; Veronica Alonzo, Ed.D., Associate Superintendent, Dallas Catholic Schools; Thomas Burnford, D.Min., President, National Catholic Educational Association, and Msgr. Michael Clay, Director of Pastoral Ministry Programs, The Catholic University of America. Moderated by Hosffman Ospino, Ph.D.
To RSVP, please email: events@americamedia.org. Sign up to receive an email notification when we're live!